Location! Location! Location! 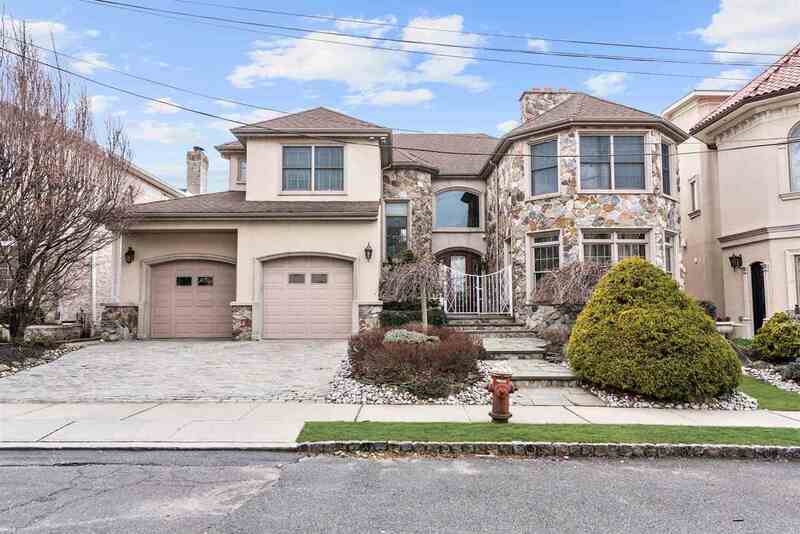 This beautiful custom built home is located on one of Bayonne's most sought after areas. 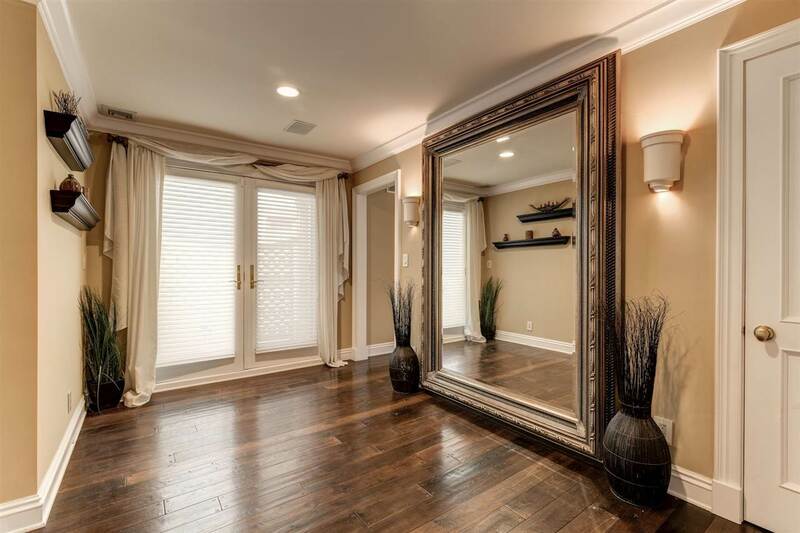 Custom construction with outstanding quality and style that is sure to impress. 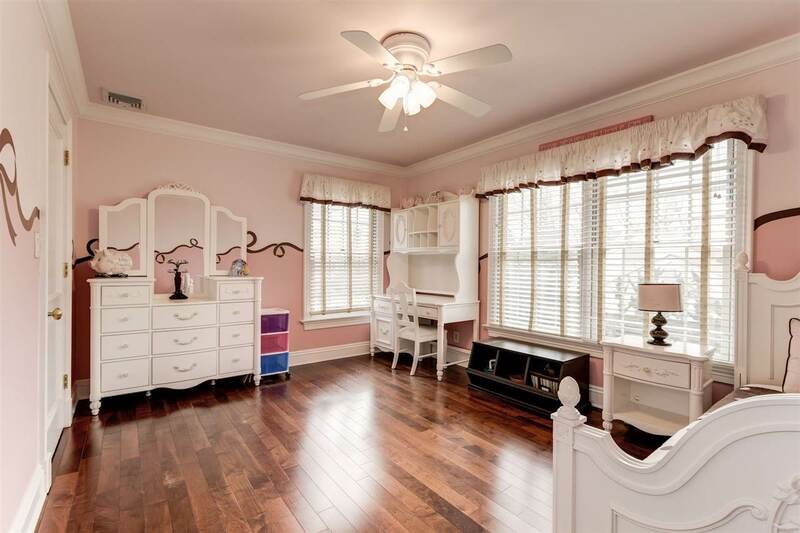 This exquisite home boasts 4 large bedrooms with 3 full and 1 half baths. Superb detailing is immediately apparent when entering the front wrought iron gate to the stunning exterior and backyard sanctuary. Special features of this home include glowing hardwoods, radiant heat throughout, central air, impressive custom woodwork/moldings, surround sound speaker system, remote operated 2 car heated garage, neutral color palette, resort-like grounds and an ideal floor plan for today's lifestyles. Too many features to mention! 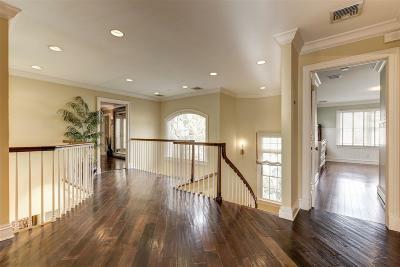 The Main Floor welcomes visitors through a solid glass and mahogany front door with a 2-story dramatic hallway entry. 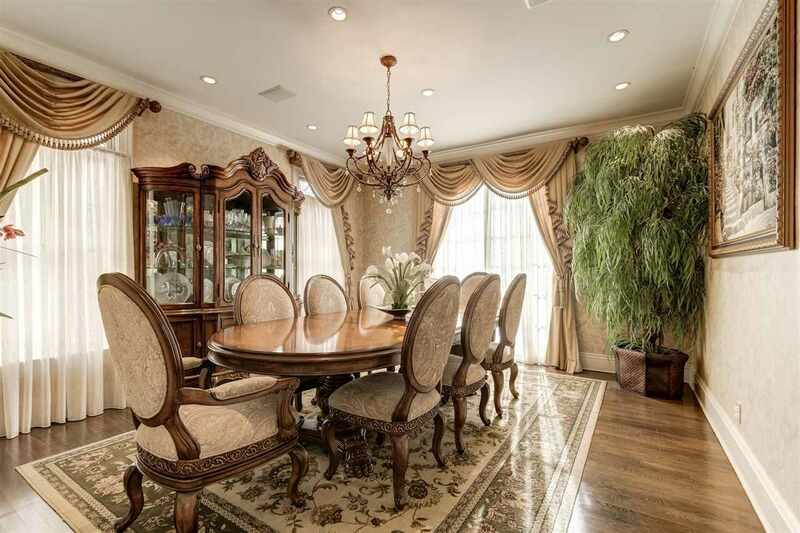 An over sized formal Dining Room is the perfect setting for large dinner parties. 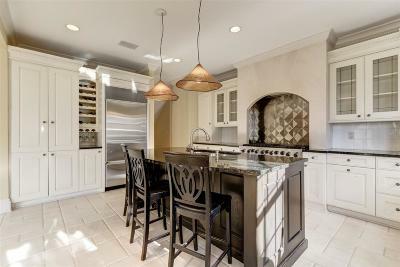 The eat-in Kitchen is a chef's dream with an expansive island, granite counters, top-of-the-line Viking stove and subzero refrigerator. 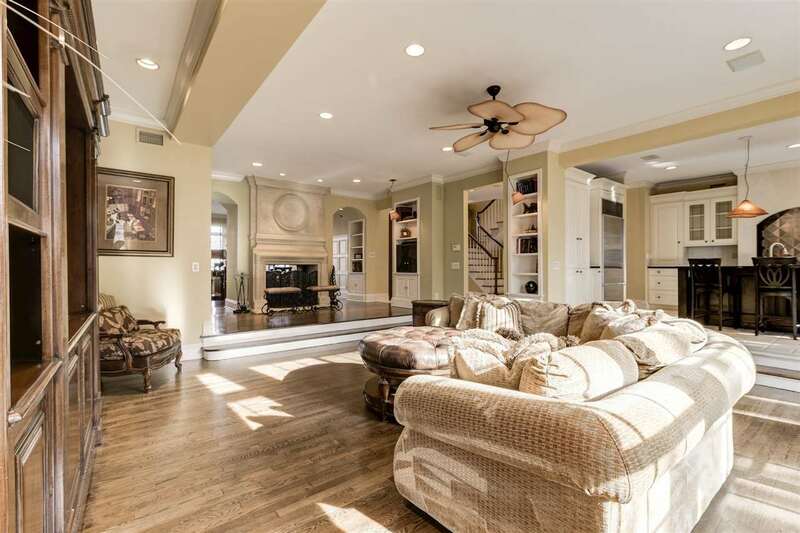 A spacious sunken Living Room is flooded with natural light providing stunning views and access to the lush grounds and private backyard. 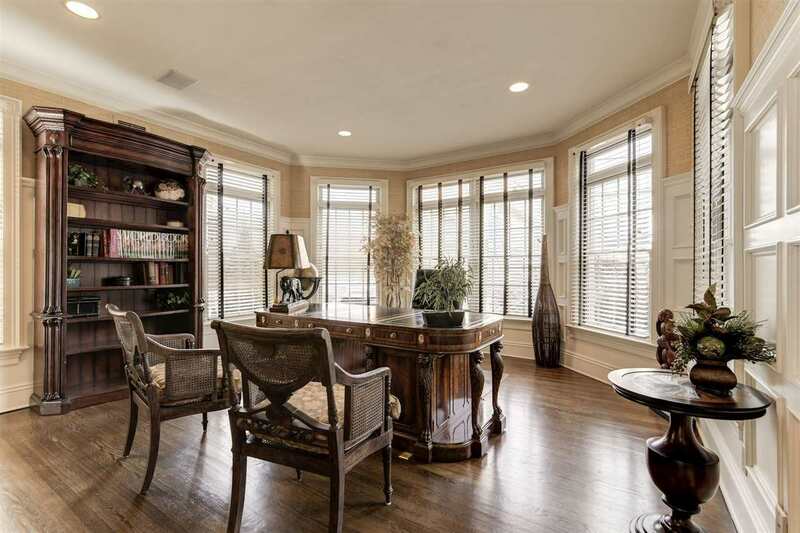 A two-sided fireplace anchors the seating area and immediately beckons guests to come in and relax. 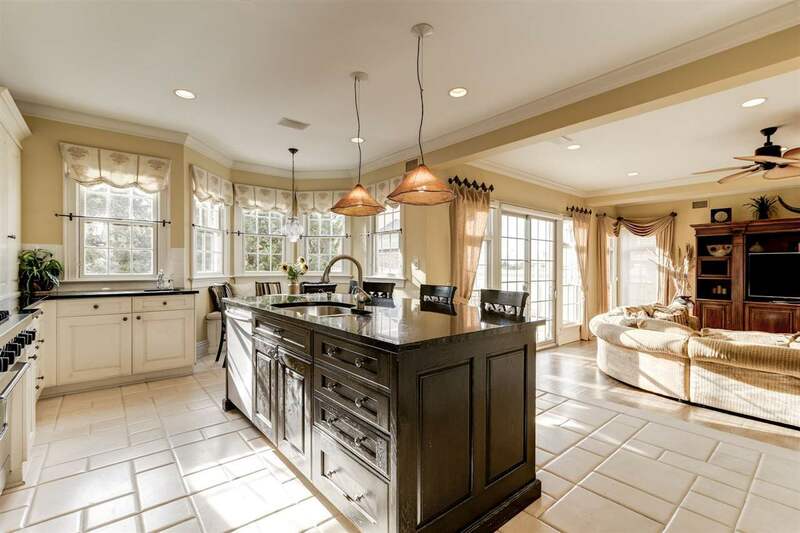 The open layout of kitchen/living room is sure to be the “hub” of the home and features a wall of windows with serene views of the private patio and show-stopping backyard. 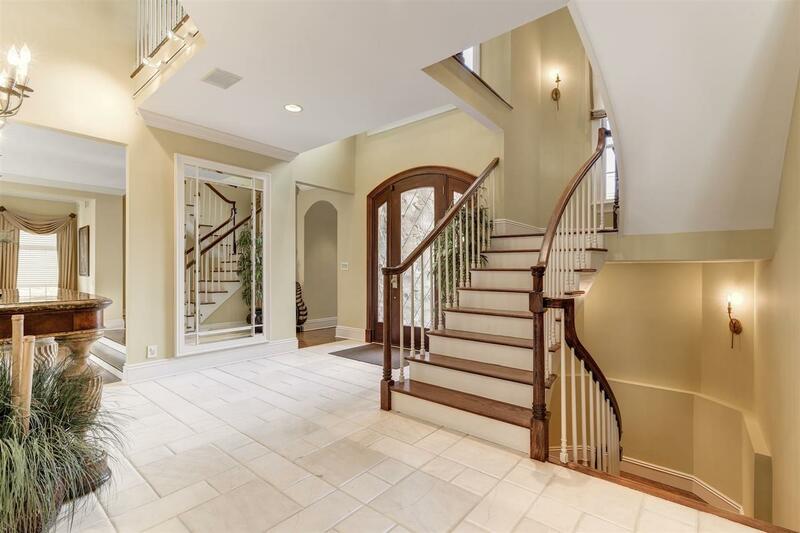 The Upper Level can be reached by the home's impressive front staircase. 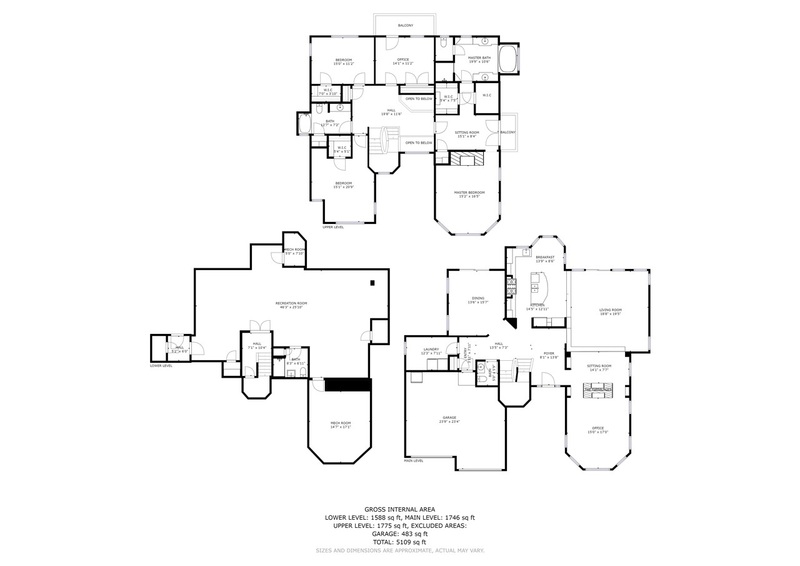 Enter the stunning massive Master Suite equipped with a sitting room, balcony, and spa inspired private bath. 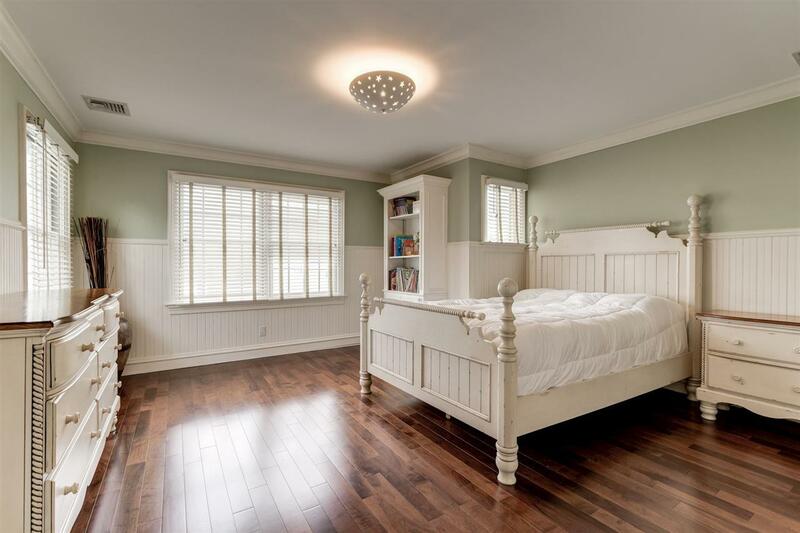 The Master Suite also features a vaulted ceiling, a cozy in wall fireplace and custom his/her walk in closets. 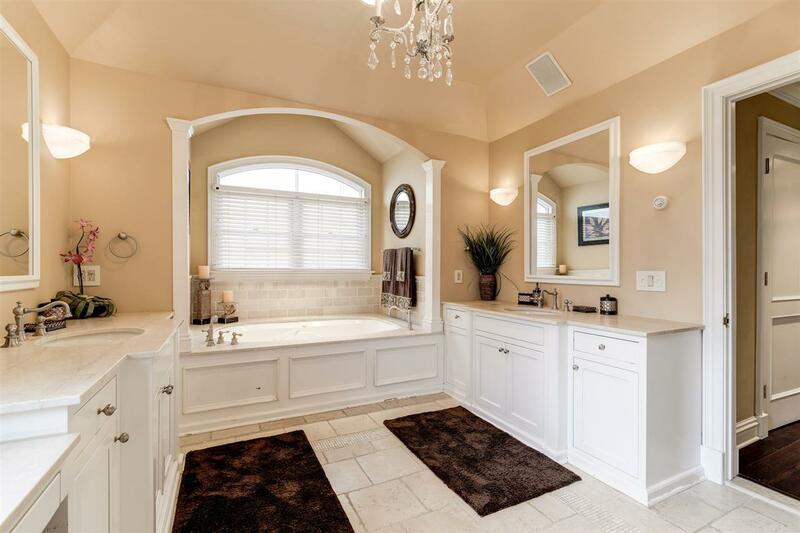 The Master Bath has a large Jacuzzi tub, walk-in shower and his/her vanities. 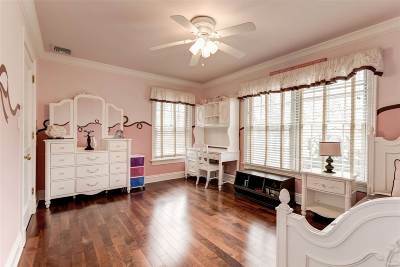 Also on this level are three additional bright and large bedrooms with an ample amount of closets and additional space. 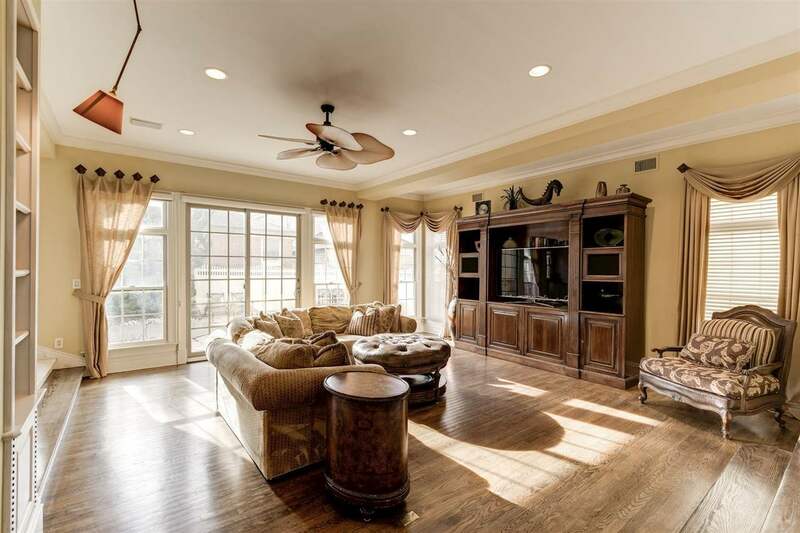 The Lower Level includes a fully finished basement with wainscoting throughout. This area features an open finished floor plan with a full bathroom and endless possibilities for additional living space. Unwind outside in an open-air oasis featuring a gorgeous Tennessee crab stone patio with an in-ground, custom-built gunite pool. The pool has a gorgeous grotto with seating inside! 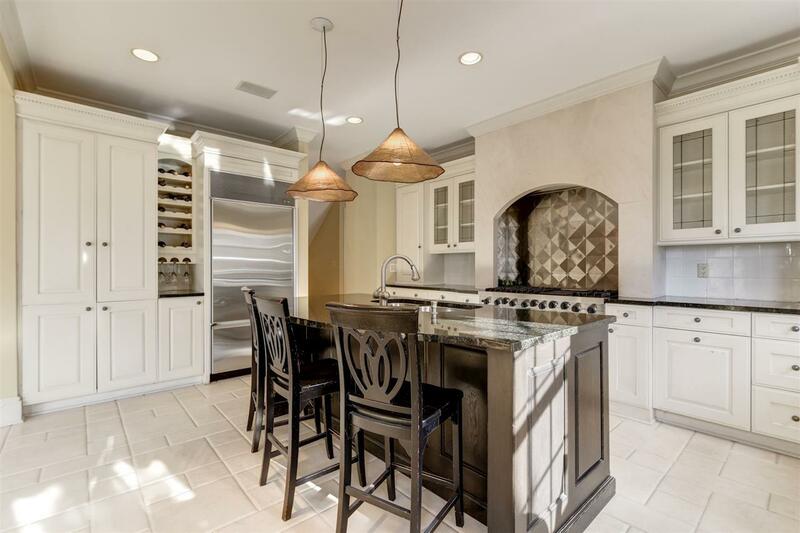 Truly an outdoor haven, this space is calling for summer fun and BBQ's.